DNS is an Award Winning Accountancy Firm specializing in tax planning, accounting, consulting services for companies around the UK and help freelancers and contractors grow in their financial performance and ensure the growth of their self-owned and managed the business. DNS being established in 2005 started off with very few clients but gradually has gained popularity throughout the UK with one of the most developed and user-friendly accounting software packages for accountants and clients to make them manage their business much easier. DNS has given accounting solutions to more than 1200 clients. As the owners face some of the biggest challenges when they start a business, with our expert services we ensure that our clients can compete in the world’s leading and competitive markets. 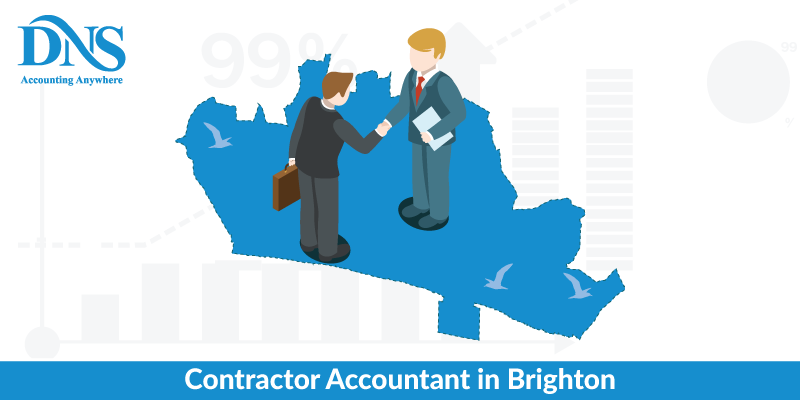 We have highly experienced Contractor accountants in Brighton, who have special skills in accountancy and also hold degrees from highly regarded universities. They are also active members of professional accounting bodies like ACCA, and CIMA. Our team members are specializing in tax advice, tax investments, contractor accountings, solutions and consultations over challenging problems. Our main focus for your business is on expert financial and tax saving advice. We help you save taxes with all compliances and regulations followed so that you can save every penny at every possible juncture. We give you access and control over your business at all times, guaranteeing you with satisfaction and charge no fees if you are not convinced with our performance. Guiding you throughout your business cycle, we provide you with the prompt response to your queries. 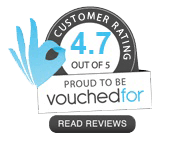 We are IPSE accredited which means you can be confident that we are experts in freelancers and contractor accountancy. We have proven to have the best professional and skillful taxation and accounting strategy that improves the growth in your business. Bournemouth is a popular day trip destination of the United Kingdom, an English seaside resort town which is one of the largest parts of the city of Brighton and Hove. It is at the heart of the Greater Brighton City Region, a partnership of local authorities and other organizations that signify Brighton's wider regional economic significance. Brighton has been an important center for commerce and employment since the 18th century. Home to some of the major companies, creative, digital, and new business, are thriving here. Brighton is the third highest ranked tourist place in the UK, with tourism employing over 20,000 people locally. It is considered to be among the top performing towns and cities of the UK. Brighton has many large private companies like American Express, Lloyds Bank, Asda, Brighton and Hove Bus Coach Company, Inkfish, etc. Brighton is known to be the happiest places to live in the UK and is considered to be one of the happiest cities in the world. What all do we help with in our Accountancy Services? Our Tax Accountants in Bournemouth assist in providing tax strategies to defer and eliminate Tax payments for your business. Our Tax Accountants create complete tax data collection systems, complete all your required tax reporting on time, update all your tax provisions and help you prepare Tax returns. They also update the company sales and tax database whenever the tax rates change, coordinate audits by various taxation authorities, and eliminate all the errors that cause incorrect tax filings and help you discuss with tax authorities over tax payment matters. Being professionals in this field, we help you with professional advise regarding the tax impact of the corporate strategies and also on the impact of new laws on tax liabilities. We also provide online accounting services through our web portal. Our services are available 24/7 with quick response system. We have to feature rich user-friendly software for accounting services. Our professional accountants will maintain all the accounting procedures by identifying, recording, classifying and interpreting the financial condition of your business. Maintaining a track of your accounting can be quiet burdensome, but we at DNS Associates are expert accountants and will help you to keep a track of your accounting. Providing you with financial data management, our Professional IT Accountants will maintain your financial records in compliance with the government advised and accepted procedures and policies on the corporate level. They will also help in complying with external Business affiliations along with the public, management, internal auditing and government accounting. Our IT Accountants at Bournemouth will manage all the problems that your business will face during your Business cycle whether it is a big organization or a small one. For Freelancers and contractor-owned small businesses, DNS accountants help you making your business success in the competitive market. We have developed high powered user-friendly software just for you so that you can keep all the accounting data on track and update them time to time. Our Accountants will help you maintain your company’s legal structure and write a business plan as well. With our expert advice, you will be able to keep your company up to date with the latest tax policies, prepare annual statements of accounts, etc. Year-end accounts reflect the long term objectives and short term goals of business; a company should ensure that all the accounts accurately reflect the true state of the business. Our year-end accounts service provides you with a dedicated team of specialists who are experts in maintaining an error free accounting system with checks done at every stage. Before submitting the accounts, we discuss them with you to ensure additional claims for expenses and the risk areas of the accounts. This way you remain compliant and safe from investigations. To avail this service you can always log into our website, fill up the form or give us a call to know more about Year-End Accounts Service. The taxpayer must claim relief from UK tax under this provision as part of their Self-Assessment tax return in the same year the investment was made. If the investment is not made, providing the money leaves the UK before 45 days are expired, no tax will be due. Note that in all matters relating to BIR; the investor should keep careful records relating both to the origins of the funds and the investment. Providing Contractor accountants in Brighton in various fields, we at DNS take care of all your accounting needs personally and more efficiently. With our services extending to areas like Hove, Portslade, Rottingdean, Lewes, Steyning-Upper Beeding, Sompting-Lancing, we have been able to serve many clients of various domains. At DNS you will find your perfect service for handling all your accounts and maintain track of all the taxes, financial accounting, and give you solutions for every problem. We at DNS are renowned experts in the field of accounting.